On Friday, we reported that President Trump would be "F---ing doing it my way" after "hitting the roof" over his legal team's cautious approach to dealing with special counsel Robert Mueller, and after Trump had brought on D.C. veteran attorneys Joe diGenova and his wife Victoria Toensing last Monday to lead the Mueller probe just as Trump's head Russian probe lawyer, John Dowd, was about to resign. diGenova and Toensing were reportedly recommended to Trump by Dave Bossie and Jeanine Piro - both of whom are outside advisors to Trump. That said, Fox News Senior Judicial Analyst Judge Napolitano thinks Dowd's resignation and the decision to put Trump in front of Mueller's team would be a "disaster" for the President. Well, 48 hours later, it appears that Trump will be facing special counsel Robert Mueller without the diGenova and Toensing over conflicts of interest - however they will still assist in other matters. While some outlets reported that Trump had a bad feeling about diGenova and Toensing, the reason the husband and wife legal team will not be joining President Donald Trump’s personal legal team representing him in Special Counsel Robert Mueller’s Russia investigation is due to a determination that their firm’s existing work presents a conflict. Sekulow said last week that diGenova’s addition to the legal team was subject to an “ongoing process of conflict review” as is standard ethics practice for lawyers. Toensing already was representing other clients involved in Russia investigations, including the president’s former campaign aide Sam Clovis and Mark Corallo, a former spokesman for Trump’s legal team. Mr. Corallo has told investigators that he was concerned that a close aide to Mr. Trump, Hope Hicks, may have been planning to obstruct justice during the drafting of a statement about a meeting between a Russian lawyer and Donald Trump Jr. during the campaign. 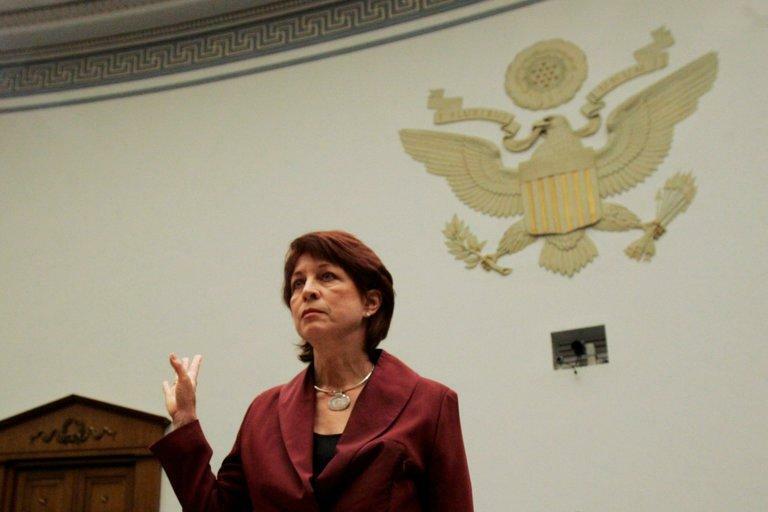 Toensing also represents William D. Campbell, the FBI informant who was deep undercover in the Russian uranium industry and testified to Congress in February of what he says were Russia's efforts to control the global uranium industry - which included evidence that Russian energy officials routed millions of dollars for the benefit of a Clinton charity before the Uranium One deal was approved. The announcement that Toensing and diGenova won't be joining Trump's special counsel defense comes at a tenuous time for the President's legal team - as his former lead attorney, John Dowd, quit last Thurasday amid discussions on how to best interface with the special counsel investigation. At present, Jay Sekulow and Trump's longtime personal attorney Marc Kasowitz form the nucleus of his legal apparatus. On Sunday, Trump spoke to the issue over Twitter, tweeting "Many lawyers and top law firms want to represent me in the Russia case...don’t believe the Fake News narrative that it is hard to find a lawyer who wants to take this on. Fame & fortune will NEVER be turned down by a lawyer, though some are conflicted." "Problem is that a new lawyer or law firm will take months to get up to speed (if for no other reason than they can bill more), which is unfair to our great country - and I am very happy with my existing team. Besides, there was NO COLLUSION with Russia, except by Crooked Hillary and the Dems!" 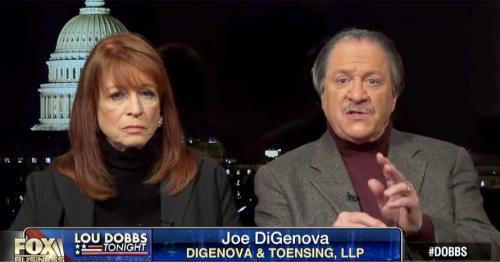 diGenova has been on of Trump's most ardent defenders - speaking in January of a "Brazen plot" by the deep state to exonerate Hillary Clinton and frame Donald Trump. Meanwhile, we're just hours away from Stormy Daniels' 60 minutes interview. Perhaps she'll shed some light on the alleged "disk pic" containing, what her lawyer says, is evidence of her affair with President Trump.